Hi Chris here and I am sharing with you this adorable Halloween Card I created with my Sin City Stamps! To recreate this card start by stamping Sin City Stamps Dandelion & Iron Works Stamp Set with oxide ink onto kraft card stock. Stamp Sin City Stamps Halloween Cobweb onto upper right corner of background. Mat background onto black card base. Rub orange and green oxide ink onto Kraft card stock. Stamp Sin City Stamps Jack-o-Lantern with black ink over inked card stock. 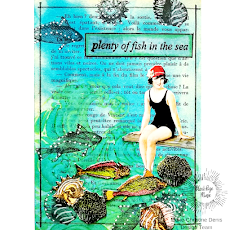 Fussy image and add to card. Finish card by adding paper dolls and chipboard greeting! I hope you are inspired to break out your stamps and get stamping!